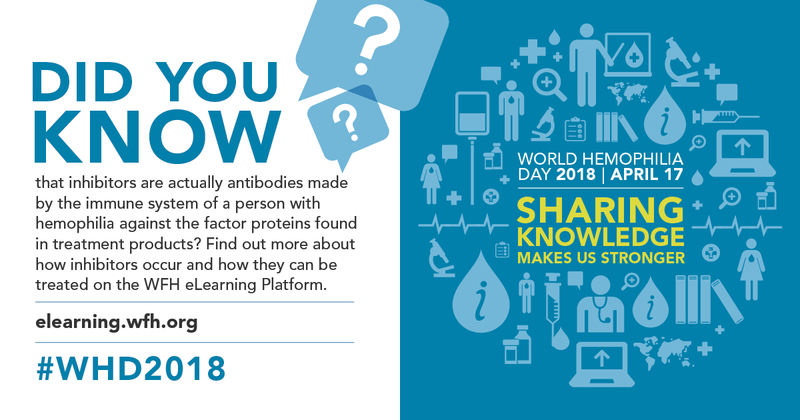 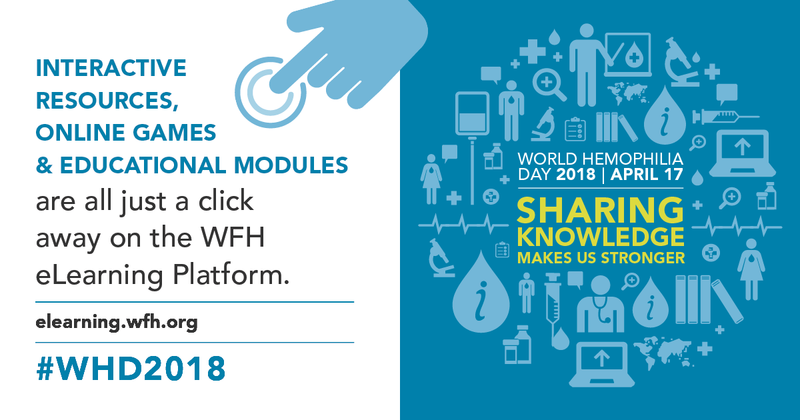 April 17, 2018, will mark the 28th World Hemophilia Day! 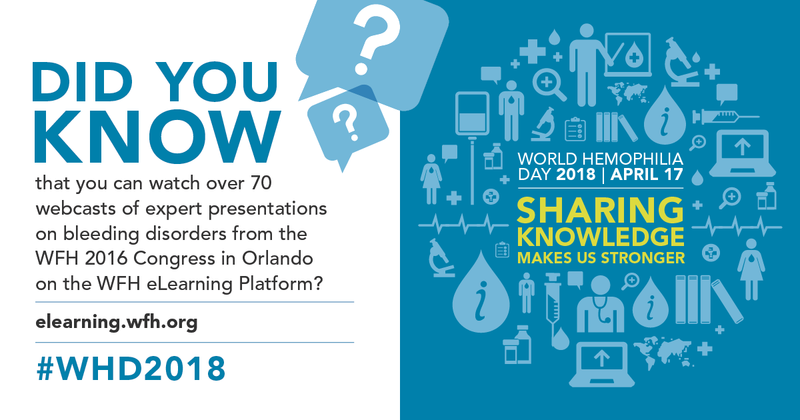 The World Federation of Hemophilia will focus on the importance of sharing knowledge. 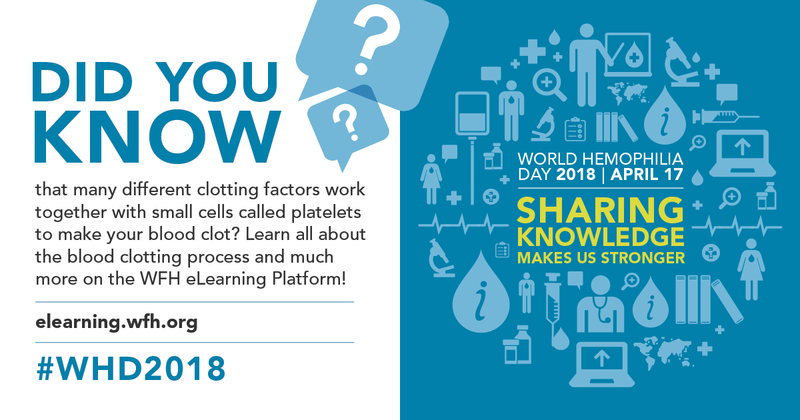 The bleeding disorders community is filled with the first-hand knowledge and experience needed to help increase awareness, as well as to improve access to care and treatment. Find important educational resources and hear from top experts at http://elearning.wfh.org/. 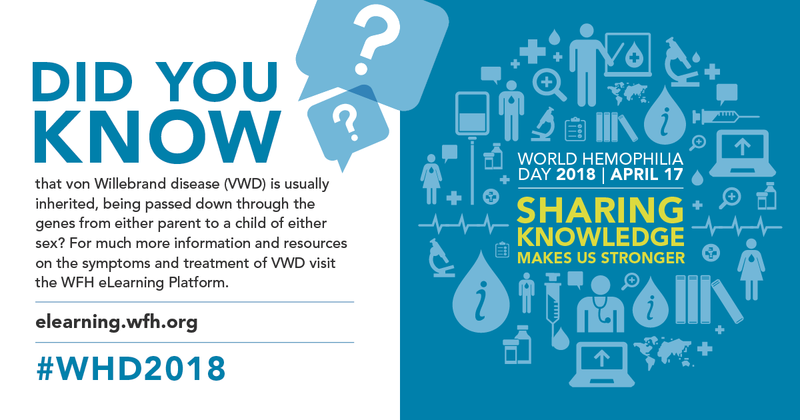 Shareable social media images: Download these conveniently-sized World Hemophilia Day themed images for your Facebook cover photo.